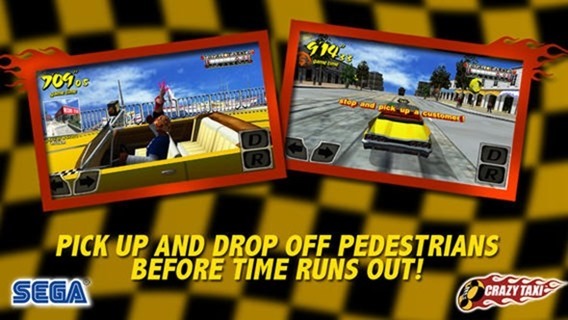 Crazy Taxi Game For iOS And Android Goes Free, Download It From Here! 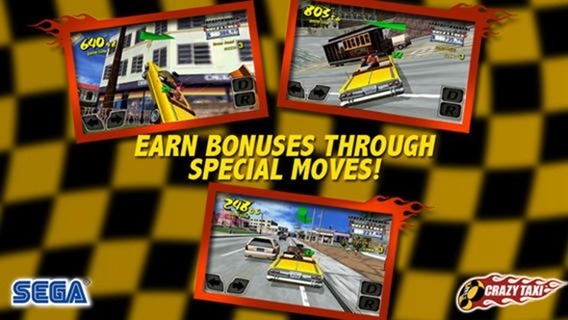 It was back in late 2012 that Crazy Taxi, the popular title from way back in the SEGA Dreamcast era, re-emerged for the iPhone and iPad, and a short while later, the Android version also manifested itself over at the Google Play Store. With Crazy Taxi: City Rush due for release later on this month, SEGA has made the original Crazy Taxi absolutely free, but since the offer is only good for a few days, we’d strongly advise grabbing it sooner rather than later. Before it ever hit the much-loved Dreamcast, Crazy Taxi was an arcade game, but it was on the cult console that the title really flourished. 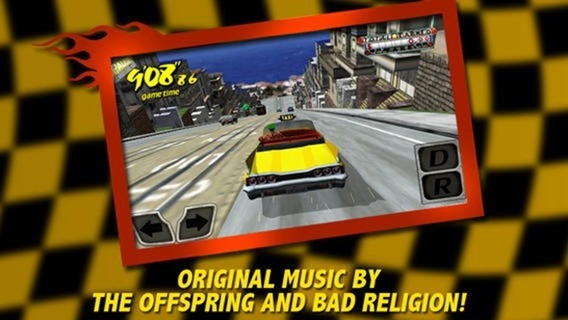 Featuring some awesome, enthralling tunes from The Offspring and Bad Religion – which really supplemented the experience – Crazy Taxi would later be ported to the likes of the Sony PlayStation before hitting our mobile devices in more recent times. The iOS and Android title, for those who haven’t yet had the chance to give it a whirl, is essentially a straight port of the old Dreamcast offering, with some control optimizations and aesthetic touch-ups thrown in for good measure. Having enjoyed it on the Dreamcast back in the day, I have struggled to replicate the same impressive cash totals in the standard taxi mode on Android / iOS, and cannot, for the life of me, complete all of the challenges on a modern device. But this, if anything, may just be to do with age.. Anyway, sensing that there’s still some life left in the Crazy Taxi franchise, the guys over at SEGA have been spending the past few months applying the finishing touches to Crazy Taxi: City Rush, which looks very much similar to the classic title we all know and love. You’ll get your classic mode, which encourages you to go out and make as much cash as possible (yes – there will be virtual currency supported by in-app purchases), as well as a series of challenges and time trials to keep you duly entertained. Check out the trailer for Crazy Taxi: City Rush below, and be sure to pick up the original game – which is free until March 19th – via the links provided.